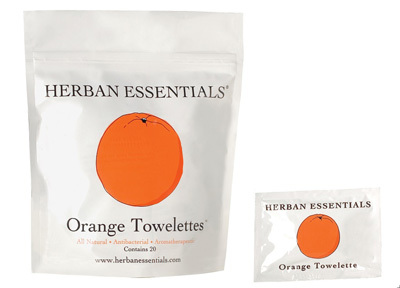 Herban Essentials essential oil towelettes are made with the highest quality pure essential oil, which not only makes them smell amazing, but makes them naturally antibacterial and antiseptic as well. 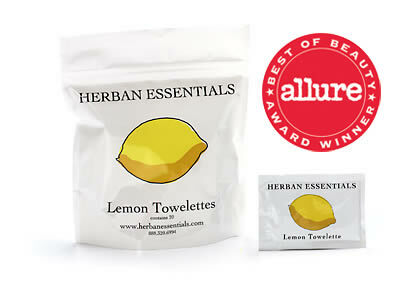 The most common use for the towelettes is to cleanse the hands and kill germs, but there are millions of ways to use these wonderful wipes! 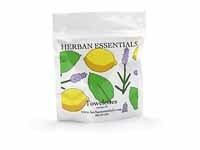 Toss them in your purse, backpack, briefcase, car, wallet, or gym bag to enjoy their germ-killing, mood-lifting, fabulousness everywhere you go!